AS9120 is an international standard that specifies requirements for aviation, space and defense distributors. This standard includes ISO 9001 quality management system requirements and specifies additional aviation, space and defense industry requirements. AS9120 Revision B, published November 2016, is the current revision of the standard. All aerospace distributors worldwide are encouraged to become certified to AS9120. AS9120 was developed for use by organizations that procure parts, materials, and assemblies and resell these products to a customer in the aviation, space, and defense industries. Organizations who strive to enhance customer satisfaction through effective processes such as assurance of conformity should seek certification. Requirements of AS 9210 are generic in nature and intended to apply to companies of all sizes and regardless of product or service they provide within the aerospace industry. AS9120 was prepared by the International Aerospace Quality Group (IAQG) and certifications are administered by accredited management systems certification bodies like The Registrar Company. Associating your company with an internationally recognized and trusted certification shows your customers that you hold their satisfaction and expectations above all. 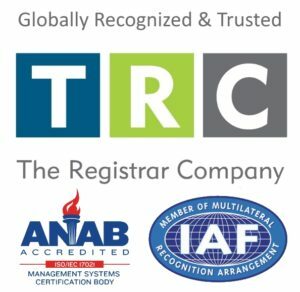 Your company knows that AS9120 certification and industry specific QMS registration adds real value to your bottom line through increased efficiency and reduced risk – and working with the best Certification Body for your unique needs should be top of mind. Certification can be a lengthy process, and you will be working closely with your Certification Body and Auditor for years to come, ensure you pick the best.